For a little while now I have been attempting to complete this article on using our tyre pressures and temperatures to assist in the chassis tuning of a race car. We certainly are able to learn so much from our tyres…….. Our tyres are a critical component in the race car chassis set up. In fact, it all starts from our tyres…………. so why not make the very most of the amazing data our tyres are screaming to us the moment we pull up in pit lane. And lucky for us, you don’t need powerful software or laptops……. 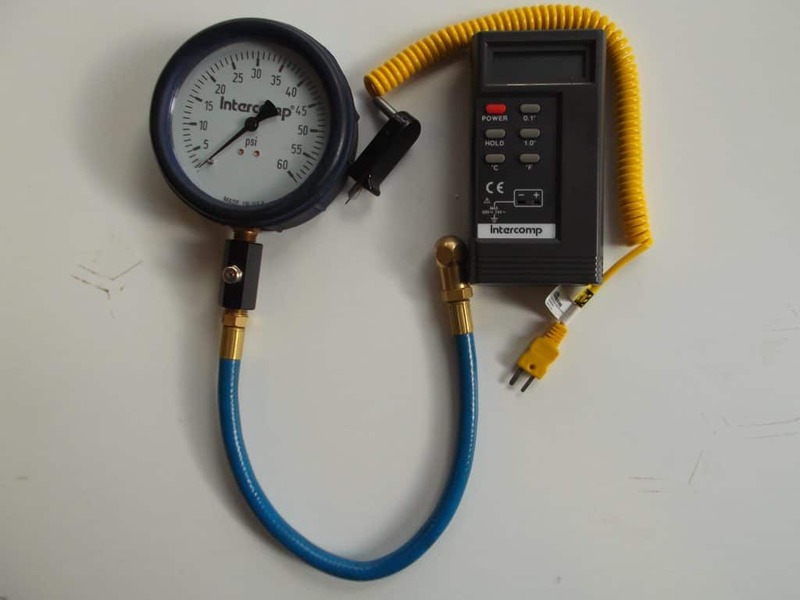 no, just a good tyre pressure gauge and tyre pyrometer (Tyre temp gauge)…….. $300-$350 should hit the target………. so not bank breaking tooling at the end of the day. The critical aspect of reading tyre temp’s is that they must be done immediately at the completion of some race pace laps……. This is pit lane stuff……. the very moment the car pulls up. Its no good waiting for the car to get back to an outfield car port. By that time, the tyre will have cooled and valuable data lost. Your pit crew must be waiting ready to converge on the car armed with the pyrometer and clipboard. Its best to always start with the working tyre. The working tyre is the tyre that is taking the majority of the work load and is usually the outside tyres and mostly outside front. Now, lets say at Wakefield Park, the working tyre will be the passenger side (L/H)front as this is a mostly right hand turn track. At Sydney Motor Sport Park your working tyre will be the front drivers side (R/H) outer as this track is mainly left turns. 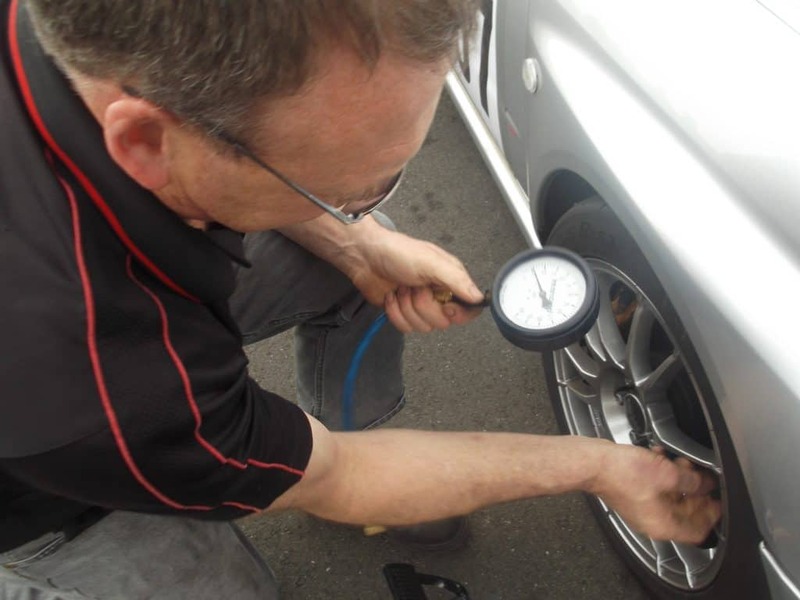 Measuring tyre temp’s involves taking readings at 3 x points across the tyre tread face. These are the: outer edge, middle and inner edge……. inner and outer temps should be taken at a point approx 25-30mm from sidewall. Select a point smack in the middle of a tread block and be consistent with this measurement point with each and every measurement session. 4/ Outer edge hot with middle and inner edge temps progressively cooler. Not enough negative camber…… In this situation you are throwing away cornering force and traction. From my experience, the optimum level of camber is critical for cornering force etc. As a general rule, negative camber equals cornering force (Lateral grip). You must work on optimising your camber levels with these settings possibly varying from track to track. 5/ Overall high tyre temps possibly on 1 x tyre or a front and rear set. This could be the result of spring rates being to high or a corner weighting problem. These outcomes are only just the beginning. I cannot stress enough how important your tyre pressures and temps are when attempting to finely tune your race car chassis for the ultimate set up and tyre traction. At the end of the day it will be “traction, traction, traction” that will win the day……..and this is all about maximising the contact patch’s of those 4 x tyre contact patch’s.